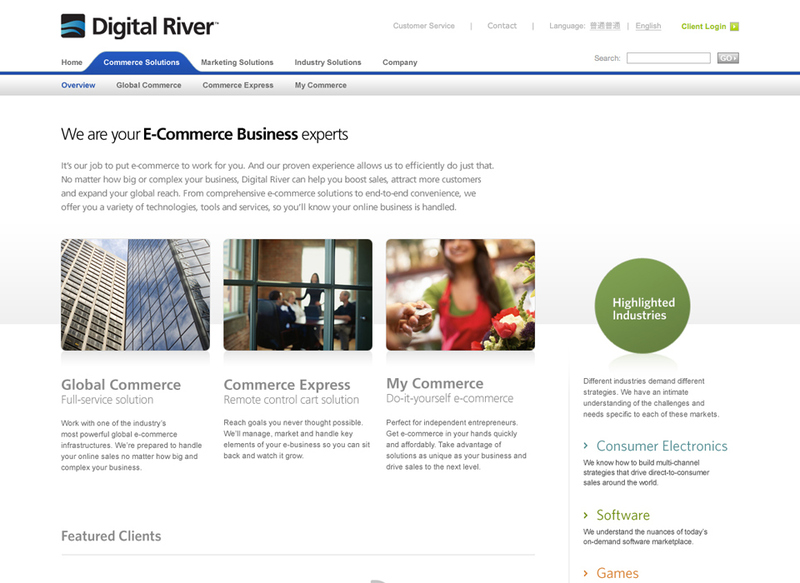 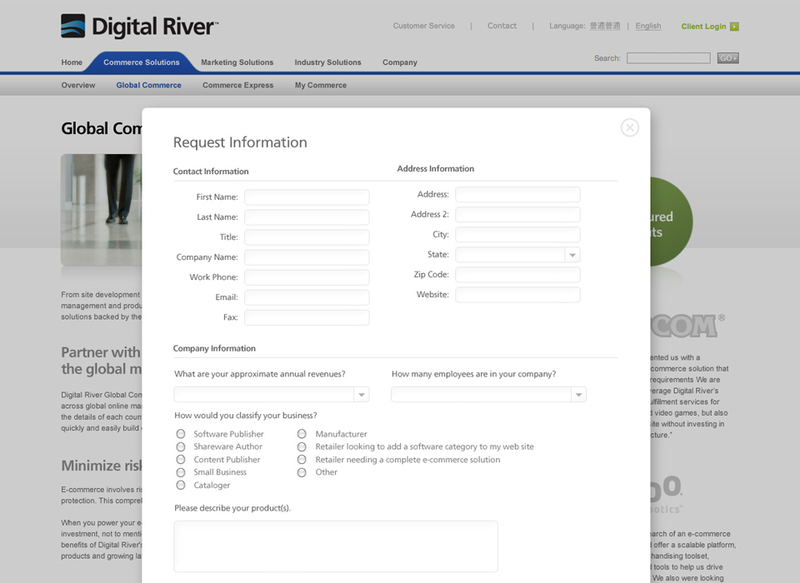 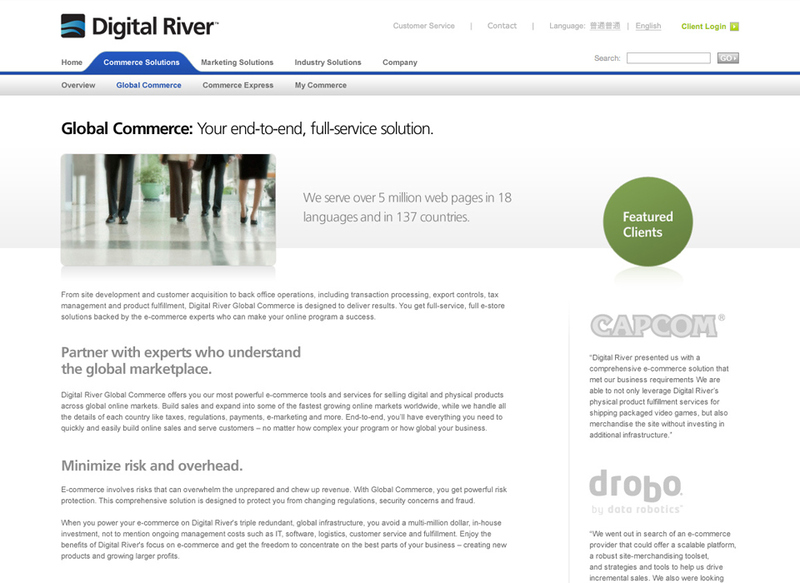 Digital River was seeking a cleaner, more progressive look for their corporate website so they turned to us for help. 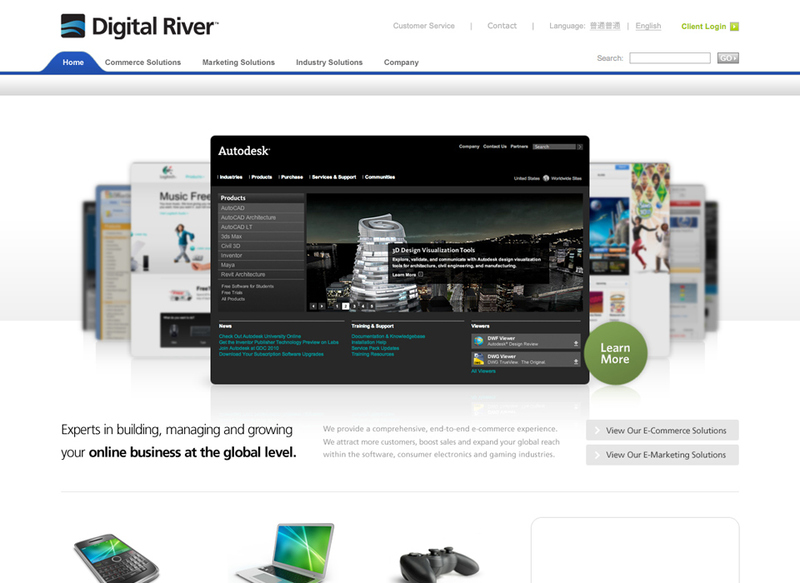 As part of our information architecture process, we played out the site content in a user centric way. 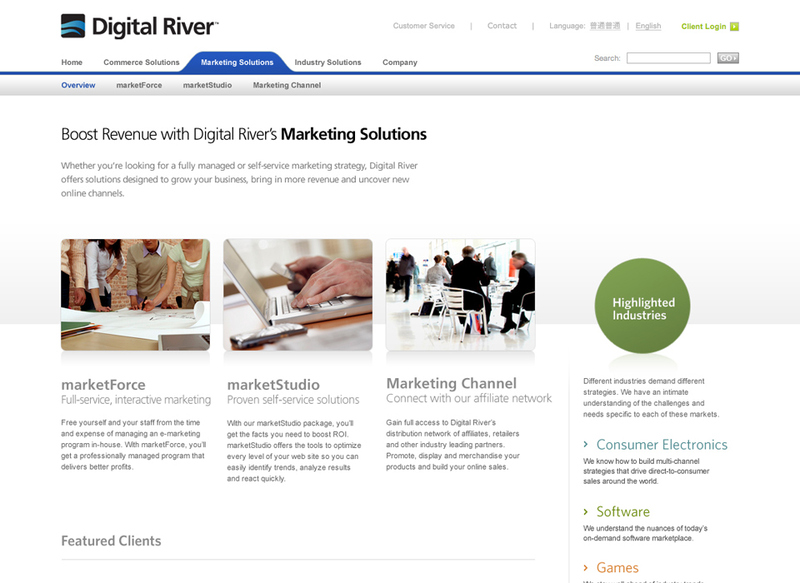 In addition, Digital River wanted to showcase their work more effectively on their homepage. 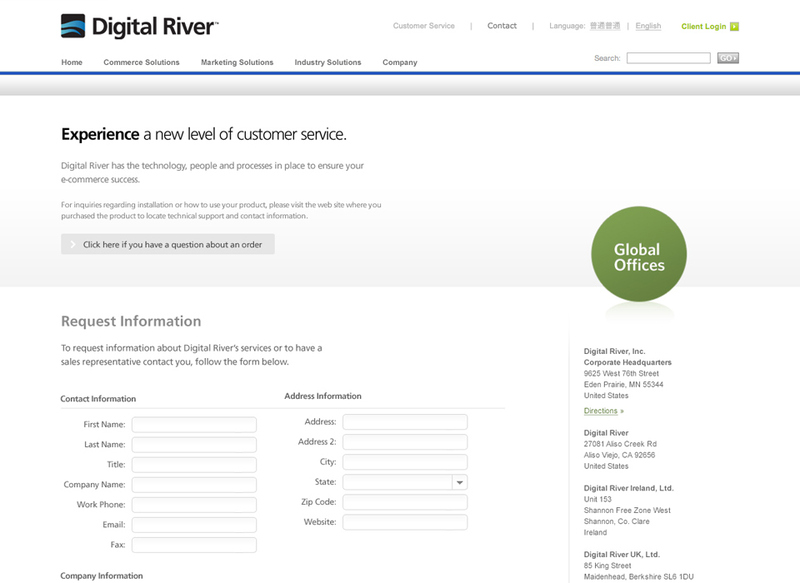 Therefore, we produced an interactive carousel that enabled Digital River to prioritize work samples on their homepage front and center.